Since getting Showtime, I thought the karaoke machine was cool cause I remember how fun it was in Sims 2. However I was disappointed in the lack of usage of it by sims unless they were a Diva. I’ll set it in a club and sims would avoid it. No more of that! I changed the attraction to this item after seeing how low it was. However I felt sims with other traits should be attracted to it like Divas. Party Animals, Natural Born Performers & Virtuoso trait sims are highly attracted to the karaoke along with Divas. 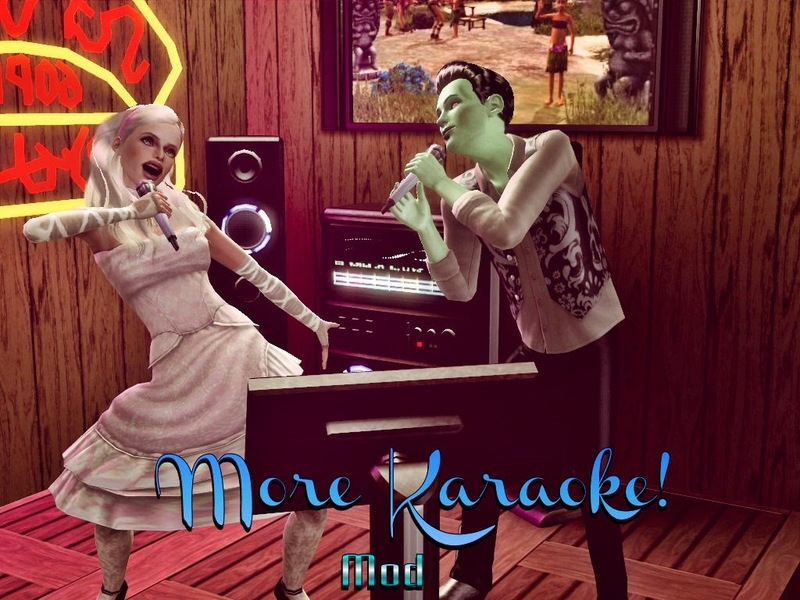 With this mod, sims will use the karaoke machine more autonomously. Sims will sing with another sim slightly more, even if the sim is a zombie lol! However Divas are most likely to sing alone cause they are divas, haha. Also with this mod, I turned off autonomous watch singer, sims would always crowd and it would cause routing issues. It annoyed me that they would watch but not sing themselves.